"What Creative Action brings to Campbell Elementary is access to a new type of learning, which allows my young scholars to go further, dream bigger, and learn more than they would have otherwise." Spark Schools is a collaborative, customizable program that offers a platform of intensive arts-based strategies through long-term, multi-year partnerships with schools to achieve comprehensive campus transformation. Through high-quality arts-based learning, professional development, and community events, Spark Schools offers customized programming to help schools meet their most pressing needs regarding students’ achievement and attendance, teacher training, campus culture and morale, and family and community engagement. visual arts, and digital media, co-created and taught by classroom teachers and our professional Teaching Artists. Five-day, interactive performance residencies for every grade level, delivered in the classroom to support age-specific social and emotional learning goals. 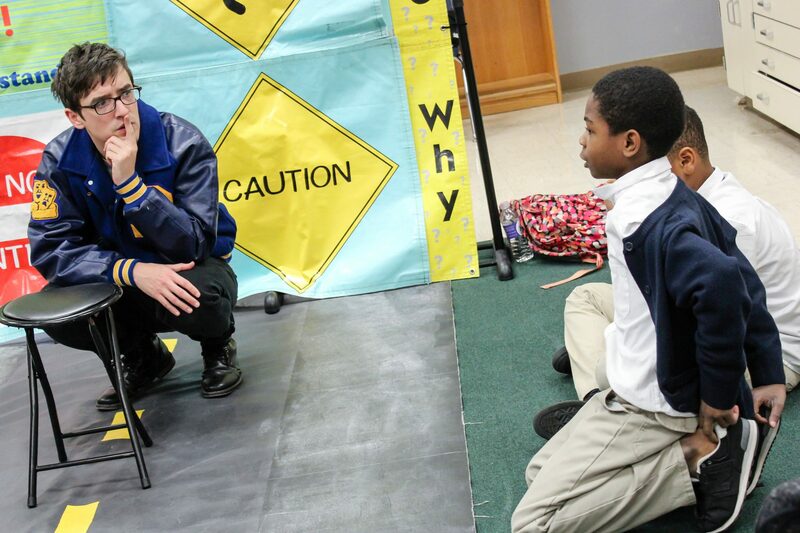 Ongoing arts enrichment and community-building activities, such as daily after school programming, guest artist visits, special performances, school-wide showcases, family nights, and cultural events. Professional development for classroom teachers in arts-based instructional strategies. Campus beautification projects, such as community murals to create more welcoming, colorful, and vibrant spaces. Ongoing collaboration, coordination, coaching, and support from Creative Action’s expert staff and Teaching Artists.